Style #003: Arizona Skies Seamless™, flat-topped Gibeon Meteorite Rings with 18k yellow Gold Lining and Polished finish (no rails). 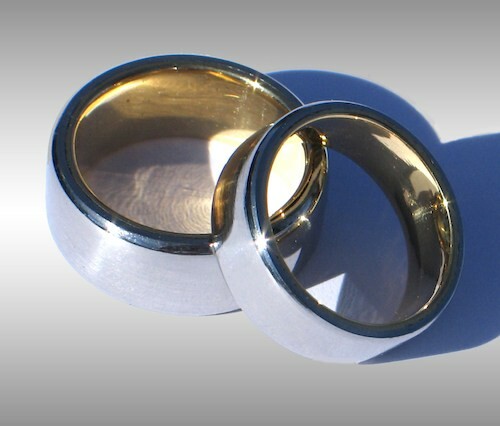 These elegant rings are crafted from a solid billet of Gibeon meteorite. Shown in a size 12 x 9mm width, and size 9 x 7 mm width. Also available with 18k white or rose gold linings!